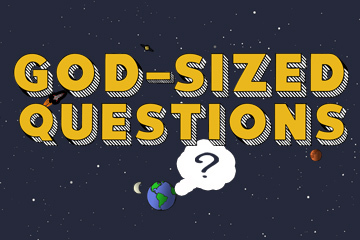 Today we launch a 4 week study called “God Sized Questions”. Over the next few weeks we will answer the questions that we probably don’t spend much time thinking about but are bigger than life itself. If God So Loved The World, Then Why...? Wouldn’t you like to know what level of “good” you have to be to be considered a good person? Join our discussion as we explore this God-sized question. Join us today for our final week looking at God Sized Questions: What on Earth am I here for?